Have you ever committed to a healthy night – gone to the gym, had a healthy dinner, skipped the wine, only to wind up with a late night trip to Ben and Jerry’s? Of course you have, at least in some sense… even though you knew that would wreck all of your hard work, you excused away your better judgement for the momentary gratification. This article is not about ice cream, but how savvy people make financial mistakes they know they are making. These are the 5 most common I see. No emergency fund. An emergency fund is vitally important for all households. The “book” says 3 – 6 months of living expenses is a good target depending on whether you are in a single income or duel income household. To be more precise, you should customize the amount based on your unique situation; such as; employment stability, industry variability, earnings volatility (salary vs. bonus vs commission) and expense composition. Unqualified withdrawals from a 401k/IRA. There are times when it makes sense to partake in an unqualified withdrawal from a 401k/IRA. However, most of the time it does not. It is important to explore all possible options available before doing this, as it can’t be undone. Some alternatives that could make better sense are: spending down on one’s emergency fund, cut ongoing expenses, take a loan out of your 401K and even filing for bankruptcy. Dismissing employers 401K match. If you have a 401k match available to you, take full advantage of it. This is a great opportunity to catapult your retirement savings. The caveat is, you are tying money up in a qualified retirement account, but you will likely thank yourself down the road. There are countless calculators online to show you the power of compounding in a retirement account. When you throw in an employer match, the downstream impact is enormous. 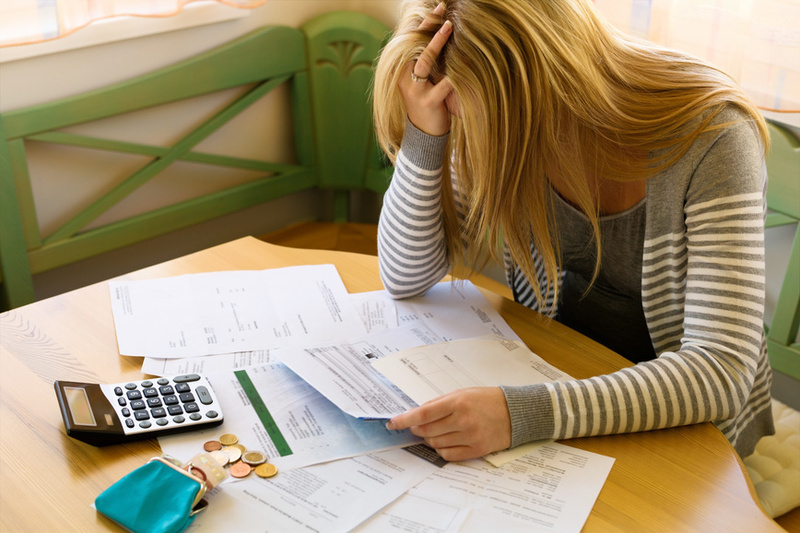 Carrying credit card debt and only paying the minimum balance due when one has cash available. Most of us know this is a bad habit, but many of us don’t know how bad or why. Many credit cards average an APR (Annual Percentage Rate) between 15% – 22%1, which is much higher than any reasonable expectations for an investment return. A better strategy would be to take your savings, pay off your credit card in full and build your savings back up over the next several months. Carrying credit card debt and trying to improve your financial situation is like swimming with sandbags, it is going to weigh you down and wear you out. Building up and sitting on cash in your bank account. The S&P 500 has an average return of ~10% annually over the last 90+ years. 10 year treasuries are paying over 2% right now. If you don’t have a short term need for money in your bank account and can handle some volatility, you are better off investing it. Whether you want to be risky and invest all in equities or more conservative and invest in treasury bills is a discussion you should have with your advisor. For example, imagine you had invested $300K in a conservative portfolio and received a 4% return annually. After eight years you would have made $110K with your investments. If it sat in a savings account earning 1%, you would have just an extra $25K in your pocket. Are you making any of these mistakes? You already know you’re doing yourself a disservice, so act now and realigned the ship! These issues only take you further off course with time. Be on the lookout for Part 2 next week when we will dive into the issues that are less obvious, but just as important, 5 Common Financial Mistakes People Make that they are NOT Aware of!